Mastercard today announced that cardholders will no longer have to provide a signature for any purchases in the United States and Canada after April 2018. The change will apply to both debit and credit cards. Mastercard said removing the need to sign for card-present transactions will not have any impact on customer security due to modern safeguards. "Our secure network and state-of-the art systems combined with new digital payment methods that include chip, tokenization, biometrics, and specialized digital platforms use newer and more secure methods to prove identity," said Linda Kirkpatrick, an Executive Vice President at Mastercard. Mastercard's consumer research unsurprisingly found that a majority of people believe it would be easier to pay, and that checkout lines would move faster, if they didn't need to sign the receipt when making a purchase. Already, more than 80 percent of in-store Mastercard transactions in North America today do not require a cardholder signature at checkout. Mastercard said both customers and merchants support the change. The long-existing "signature required" clause is intended to verify that customers own the debit or credit card they are attempting to use. The process is supposed to involve the cashier verifying the signature on the receipt matches the one on the back of the card, but in reality, this process is often skipped. 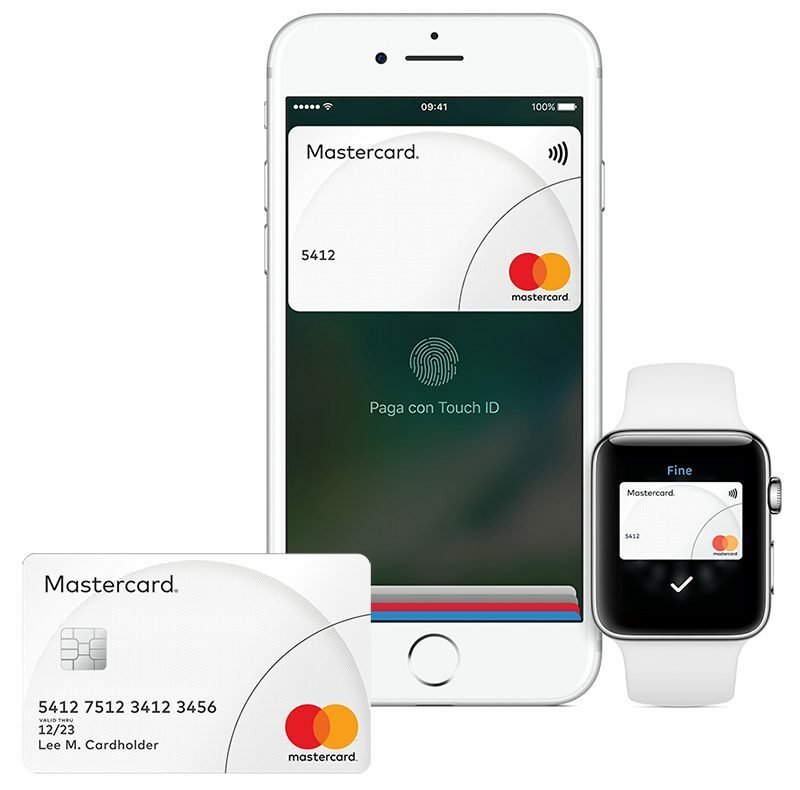 The change should make Apple Pay transactions even quicker for Mastercard cardholders. Currently, even when using Apple Pay, sometimes a signature can be required for purchases over $50 in the United States. The signature requirement is already very uncommon in Canada, where chip-and-PIN cards are the norm. At most merchants in Canada, customers insert a card into the payment terminal, enter a PIN, and the purchase is completed. Mastercard removing the signature requirement won't speed up Apple Pay in Canada, however, as contactless payments aren't generally permitted for purchases above $100. Above this limit, customers must use chip-and-PIN. Mastercard currently doesn't require a signature for purchases totaling $50 or less. Visa's no-signature limit is $25, but the amount is upped to $50 for purchases made at grocery stores and discount stores like Walmart. finally. this never made any sense to me. You mean I won't have to draw a squiggly line in the signature box anymore? Yes, this.. I refuse to show ID when I buy anything with a credit card. It does NOTHING to increase security for either me OR the store. Plus, now I've shown my drivers license with license number to some minimum wage earning employee who can memorize the information for later use. It's just a terrible idea, all around. 1. Don't knock minimum-wage earners, we all start somewhere. 2. Where do you shop where Rain-Man is the cashier-- memorizing your driver's license # within a 5 second glance?? Awww, how cute. We europeans welcome you to modern banking. I haven't used signature in ten years (maybe more? different countries, different times). Chip+pin and last couple years NFC for under 25€ purchases and over that chip+pin. If the chip doesn't work (worns, but less than magnetic stripe) then you can always do the old school swipe and signature. sorry, I don't know the technical details behind it. So this transaction flag can work not only with Apple Pay but also some other NFC based systems? which ones? That's why it works anywhere there's contactless payment support. To a POS terminal, it looks like one of millions of physical contactless payment cards. Terminals don't care whose electronic wallet (Apple, Android, Samsung x Pays) you're using. They also don't know if you used a passcode, fingerprint, iris or facial scan for on-device user verification. All they know is what basic authentication (on-device, PIN, signature, none) & authorization (online, offline) modes... and associated amount limits for each combo... have been listed in both the (emulated) card and the terminal. Those lists are what are used to decide the purchase restrictions and user requirements (which were originally designed for offline use in Europe). They're also why it acts differently with different cards at different terminals. Substitute "contactless payment" for "Apple Pay" in most of it, as it's not Apple specific. Scribbles on a scrap of paper never made sense. I can't stand businesses asking to see an ID with your card. The credit card was invented so the user wouldn't have to show their ID as they had to with checks. Cardholder agreements state they do not need to show their ID with the card. Additionally, those that think writing, "SEE ID" in place of the signature should check the agreement too. That in itself is considered a signature. No need for the cashier to ask for an ID. Worked at a gas station in college and some ladies would get all upset when you didn't bother to ask for their ID. Others would leave the signature off the card and believe that meant you had to ask for an ID. A card isn't valid unless it has been signed. By not signing the card, their card isn't even suppose to be accepted. The US is like a third world country when it comes to merchant payment systems. For once we're ahead of the game in Europe. When Europe was in the dark ages of end of day batch processing of POS transactions the US was already addressing fraud by doing real time authorizations, back in the 70s. payment network that universally connects all 12,000 financial institutions in the U.S."
Why is the US so behind? "We have always had really good, strong fraud systems in place in the United States," MasterCard product expert Carolyn Balfany tells Business Insider. "Other parts of the world were not so lucky. They had lesser robust security systems, so they had more immediate need for chip cards and the security that they brought." The US has always had "real time transactions," meaning merchants immediately send off the credit card information to the issuer for verification. In other parts of the world there was a lag between when the merchant would send the card information. After swiping your card, your information would be stored with the merchant throughout the day, and wouldn't be sent to your bank for approval until later that day, meaning fraudsters had more time to commit fraud.